My goal is to help you beautify and improve the function, the flow and the security of your Wordpress site on the Genesis framework. 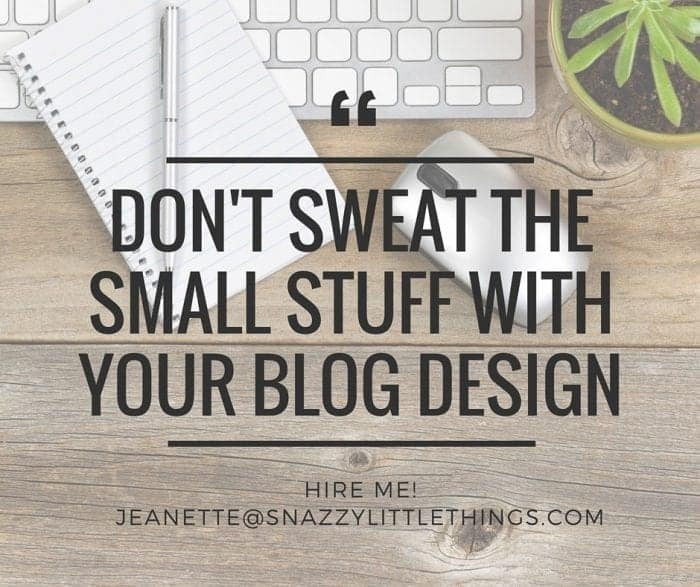 I don’t just make your site look pretty — I inspect all the administrative underpinnings of your blog. Site running slow? I’ll fix that! Database too large? Done! Then, I teach you how to become a more self-sufficient webmaster. Want to get started now? Fill out a no-obligation design request form and let’s schedule your free phone consultation. Please fill out a design request form to get started! Not included: Customization services, including graphic design work, structural theme edits and optimization services, plugin purchases, theme upgrades, any stock images that are purchased as part of the final design. (Logos are a flat rate of $250). If your list is longer than 1-2 items or requires extensive CSS or major structural theme changes, then the $350 theme migration rate may apply. After you complete the design request form, I will provide feedback as well as the approximate time needed. 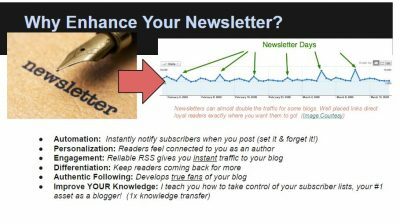 $50 Basic RSS Mailchimp newsletters -or- upgrade to an enhanced, personalized newsletter with social media, branding, blog categories and your picture. Click image to see examples and to learn more about this offering and how it’s priced! Do you want to start a blog and need help on where to start? Or, have you lost your way with blogging? Do you need specific training? Or, are you overwhelmed with advice that you’re reading on the internet? This covers any technical training or blog coaching that you might need. Talk to me, LIVE as I help you work through these challenges. We will identify tasks that you can do to align your daily activities with your long-term blogging goals. My goal is to provide objective feedback and give you clear next steps on growing your blog. 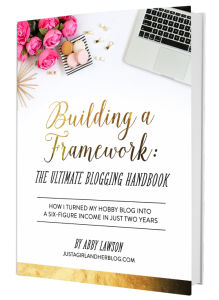 While this is a business focused consultation, it puts your readers FIRST, and will help you optimize your earning potential, no matter how big or small your blog following is. Start by filling out my blog consulting questionnaire, then email me to book a time on my calendar! Storage of images – all will be deleted at the completion of our project. All the best, and I look forward to creating a gorgeous new website design!